Hot air balloons rely on heat alone to keep them in the sky. How does this work? Hot air rises in cool air because it is less dense. 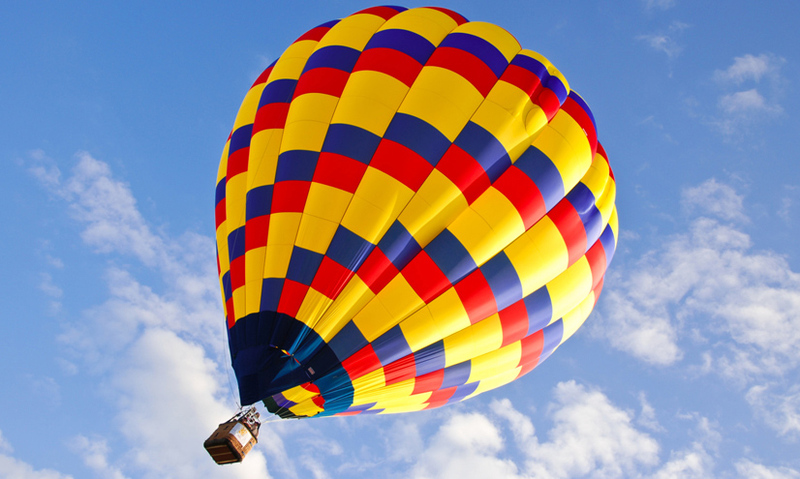 The hot air within a hot air balloon creates the lift needed to fly. Lift is known as the buoyant force. The buoyant force of the hot air balloon needs to be greater than the downward force of weight in order to rise. Not all flights have to be high speed, thrill rides. If you want to take to the skies for a more relaxing experience then all you need is hot air. The physics behind how hot air balloons fly is very simple. Hot air rises in cool air.